I’m one of those people that can’t help getting over excited about their children and what they might want or need in the future; I bought Little M a teepee when she was two months old! The plan was that said teepee would make a fantastic reading corner, but I haven’t got around to setting it up yet, although we did play with it in the garden last week! Anyway, I’ve been fantasising about what Little M’s ‘big girl’ room will look like – once she’s moved out of her cot and is into a ‘proper’ bed. I took forever deciding how I wanted her nursery to be, agonising for weeks over the exact shade of paint for the walls, and now I feel like I’m ready for a change, even if Little M isn’t and hubby certainly isn’t up for doing any more painting! So rather than actually changing anything, I’ve been dreaming up what I would do, if I could. I absolutely love the whole mountains, ‘dream big little one’ type theme that’s all over the place at the moment. I’d love to make the walls white, and maybe paint a big mountain mural on one or two walls and have some inspirational mountain quotes dotted around. To go with this, I’d love some woodland-inspired furniture from Ollie & Leila. 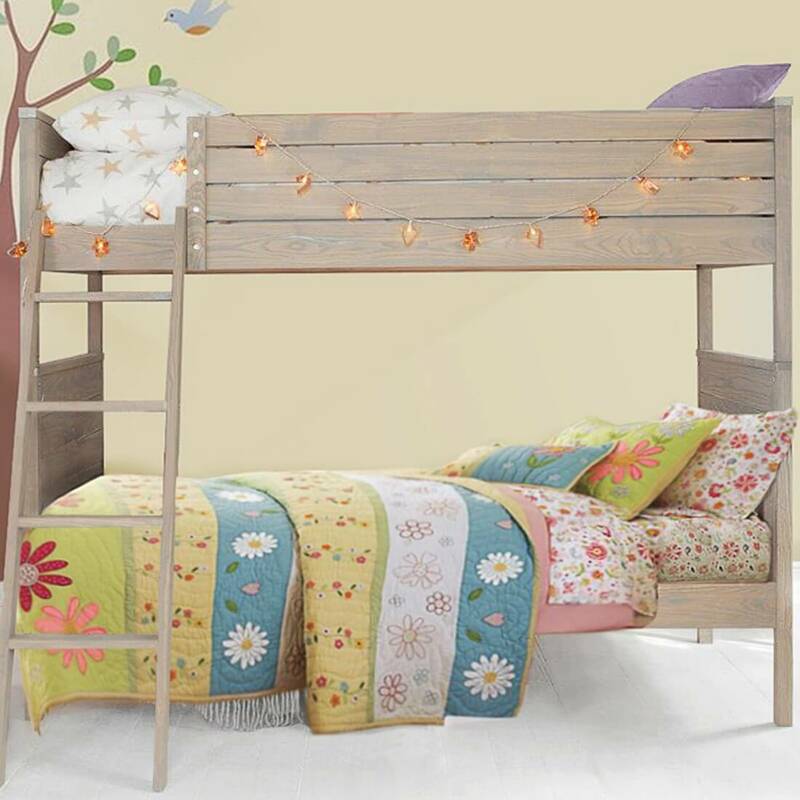 They do a gorgeous range of children’s beds, and I think these bunk beds would be perfect, don’t you? I love the idea of turning the top bunk into a little reading area, perhaps with some floating bookshelves on the wall, that could only be accessed from up high. Ooh, maybe I could paint big clouds around them, so the books are floating in the sky. Perfect for broadening Little M’s imagination! We’re lucky that we have built in wardrobes in all of the bedrooms in our house, so I don’t need to worry about taking up floor space with that. Maybe I could introduce the teepee? It would fit in nicely with the outdoor theme, and we could have (pretend) camp fires and (real) hot chocolates in there, before bedtime. I love the idea of Little M’s bedroom being a place for her to explore her imagination, rather than simply somewhere to sleep. THE most comfortable maternity bra ever? "A Day of Firsts in Sheringham"